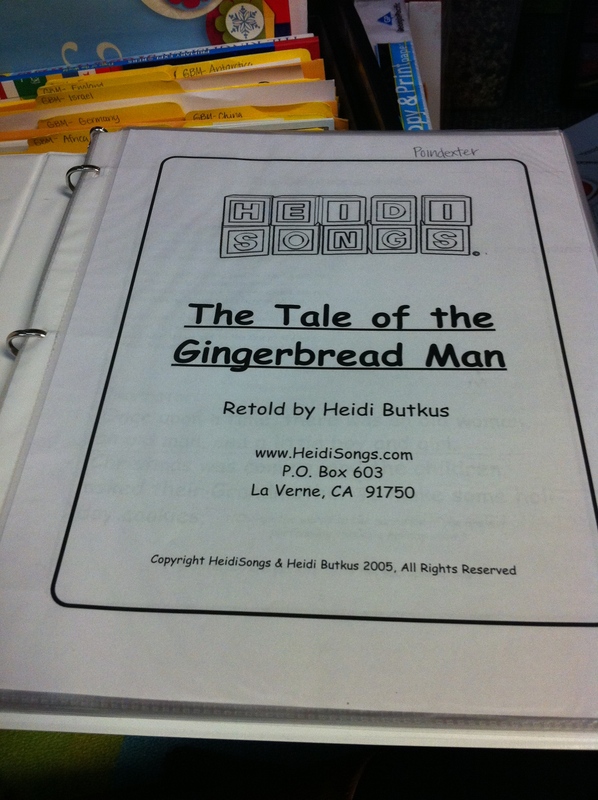 This “Unit Pack” folder holds all my Gingerbread Man Unit materials. 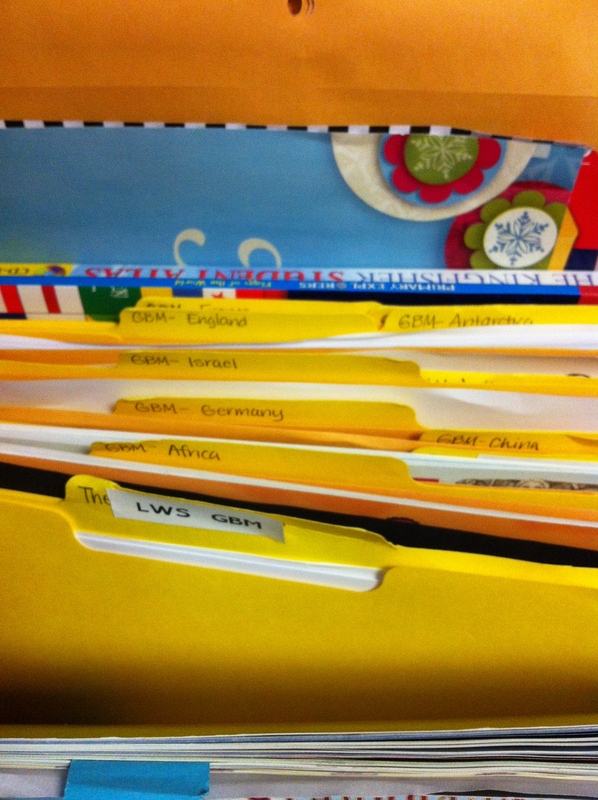 It’s really easy to pull out what I need from this folder to prep all the envelopes that the GBM leaves us. I am usually in charge of running the sound board, reminding the kids of the movements, and turning the microphones on and off for speaking parts. So you see all my markups in my master binder that I have with me during all of our practices and the actual presentation. 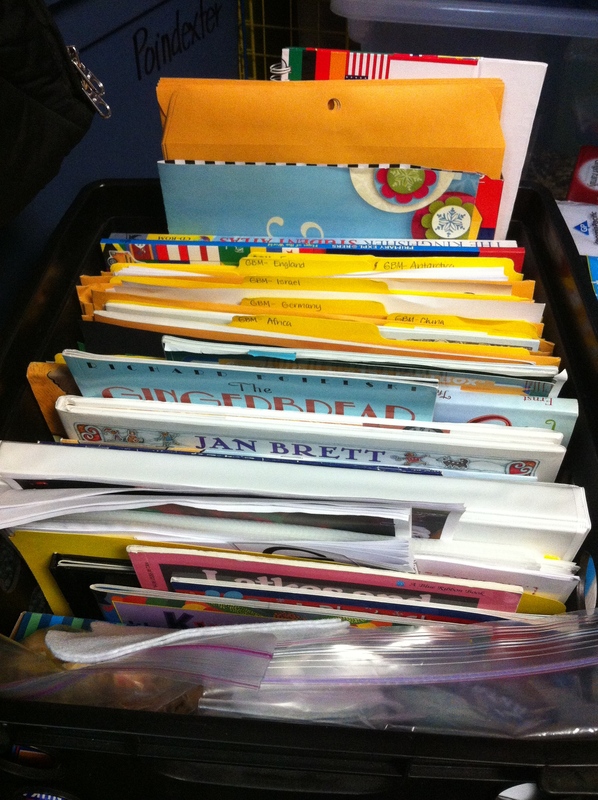 These are many of the GBM stories that I have collected. 🙂 In my GBM unit, I have shared a list of most of my GBM books. 🙂 You can also see the folders for each country. 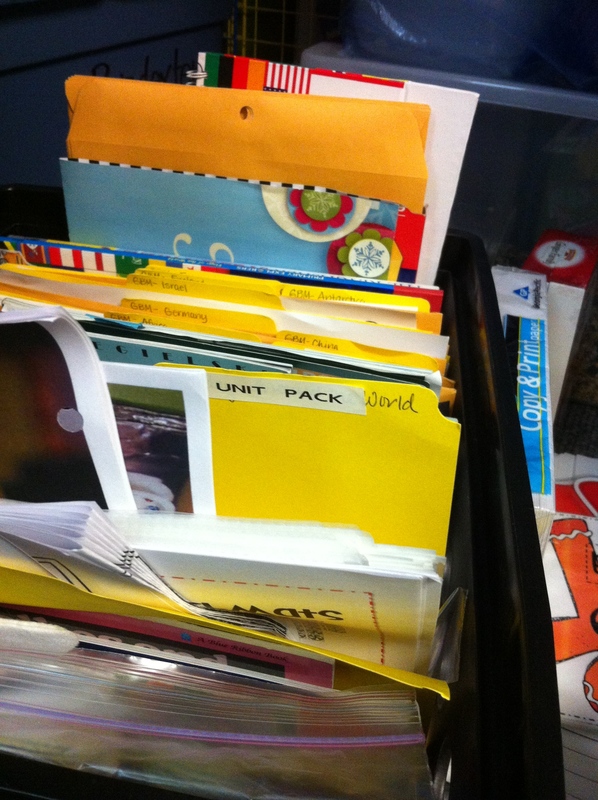 I have all the materials I need for each packet in the folders. 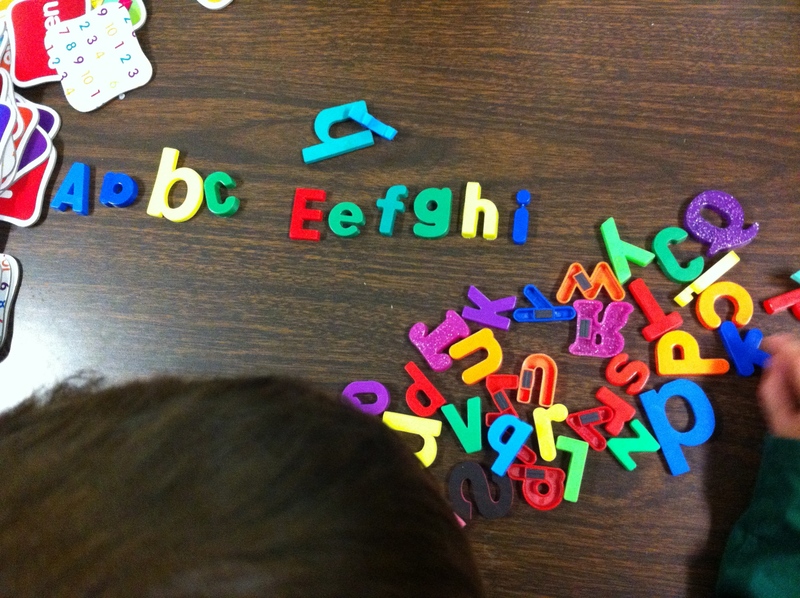 You can get the letters in my GBM unit. 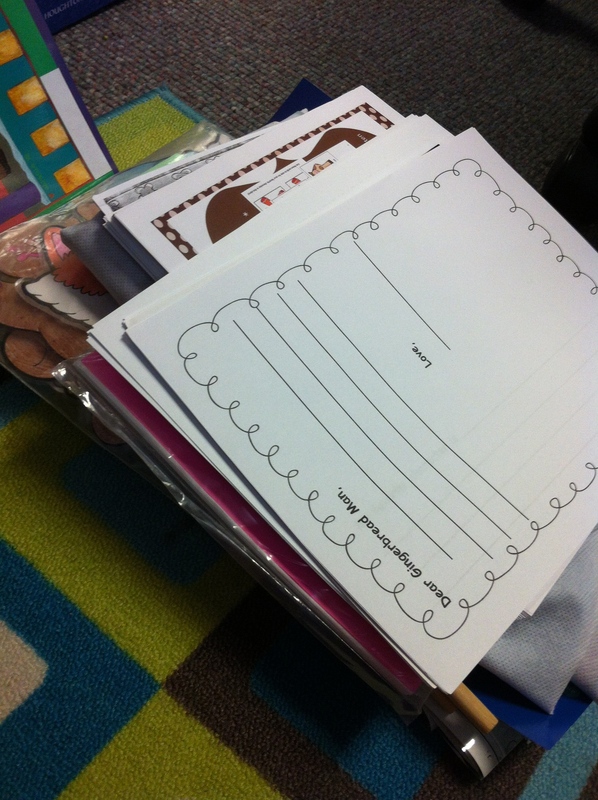 I also have a folder for all of the Literacy Work Station and Math Work Station materials we use during the GBM’s visit. 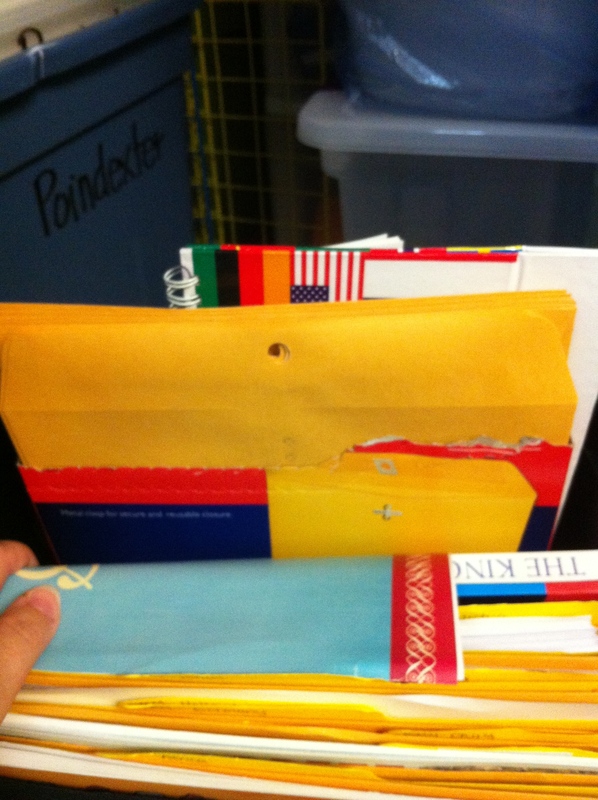 Behind all my folders, I have extra envelopes if I decide to add another country. I like to add countries that my students have lived in so they can share some of their experiences. 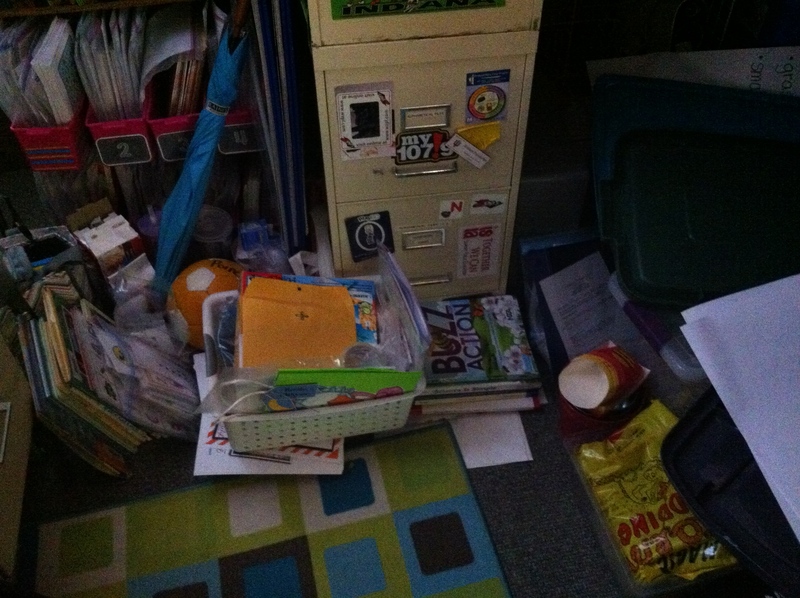 In the front of the crate, I have the more 3D objects that will be sent along with our letters. I keep the menorah, dreidels, puzzles, etc., here. And then there is the pile on top of the crate. 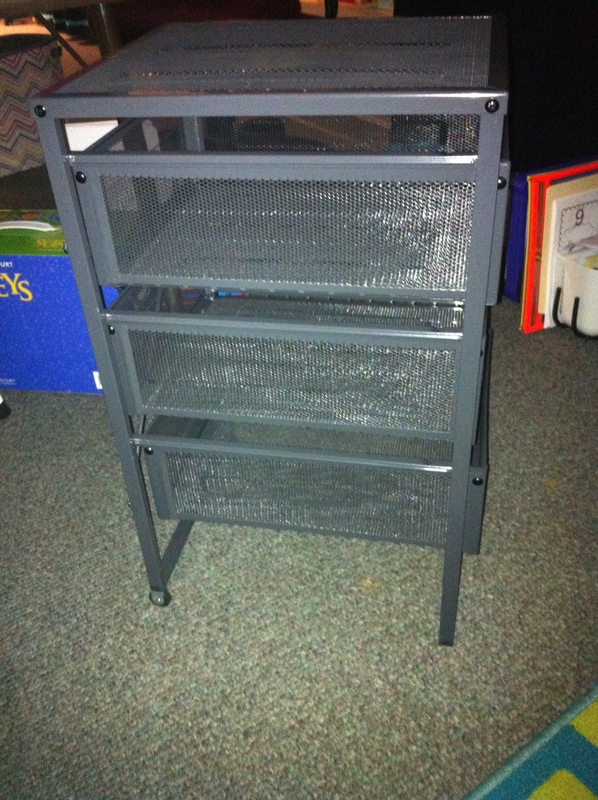 It serves two purposes, one to hide the envelopes underneath it, and two, its everything that would not fit in the crate or things I need to copy or have copied for the unit. 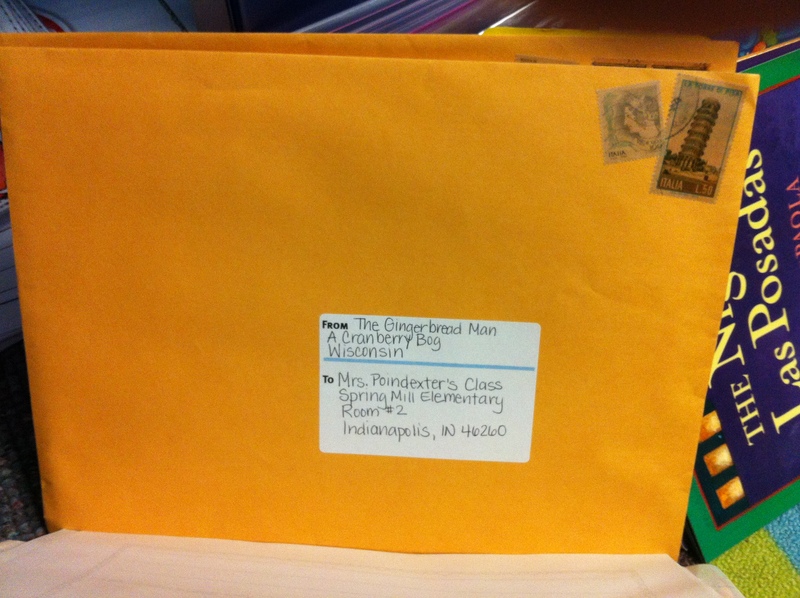 This is what our first envelope looks like. 🙂 It will be “delivered” on December 2nd. My entire store is 20% off until midnight tonight! Use the included cards to place inside a clear pocket die. 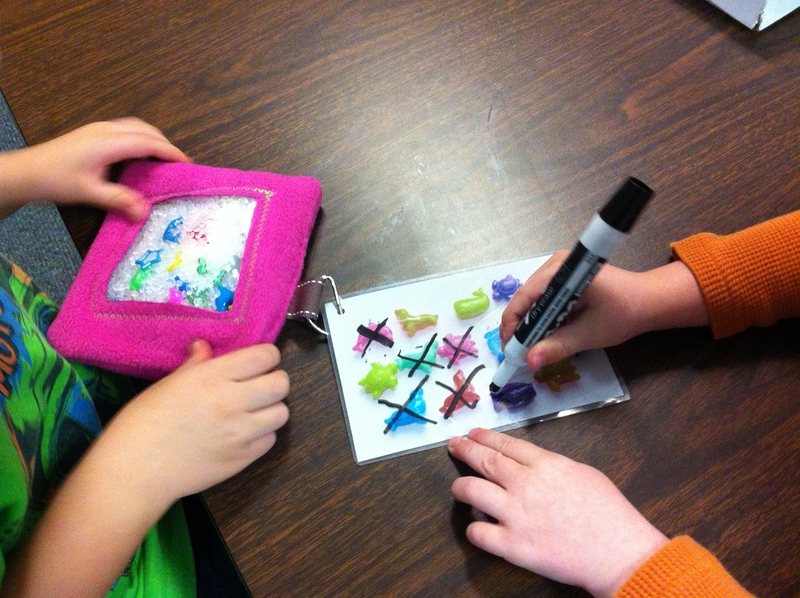 The children roll the die and record the sight word on the recording sheet. Hide the large gingerbread man cards around your classroom and your children find them and write down the corresponding sight word. 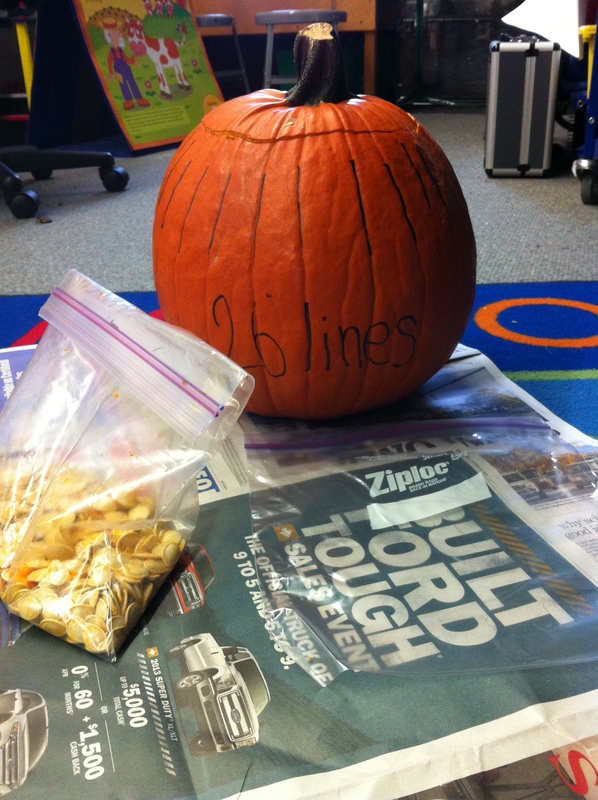 The sight words are aligned to the Journeys 2014 high frequency words. 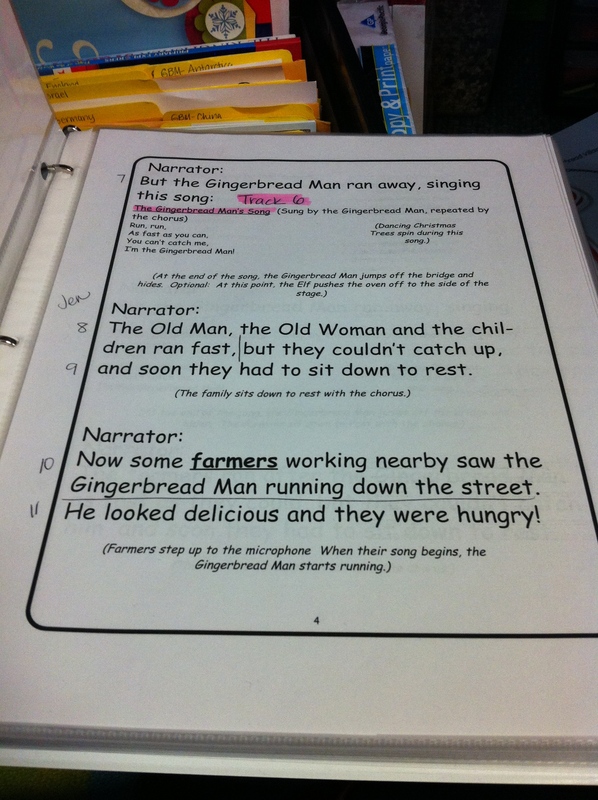 Also included in a Gingerbread Man reader. 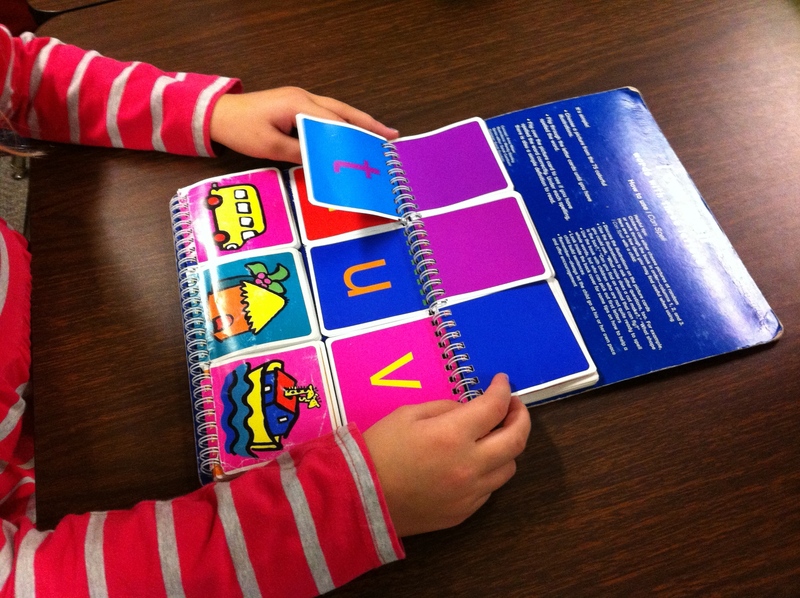 At under 10 pages, this reader is perfect for use in small or large reading groups. 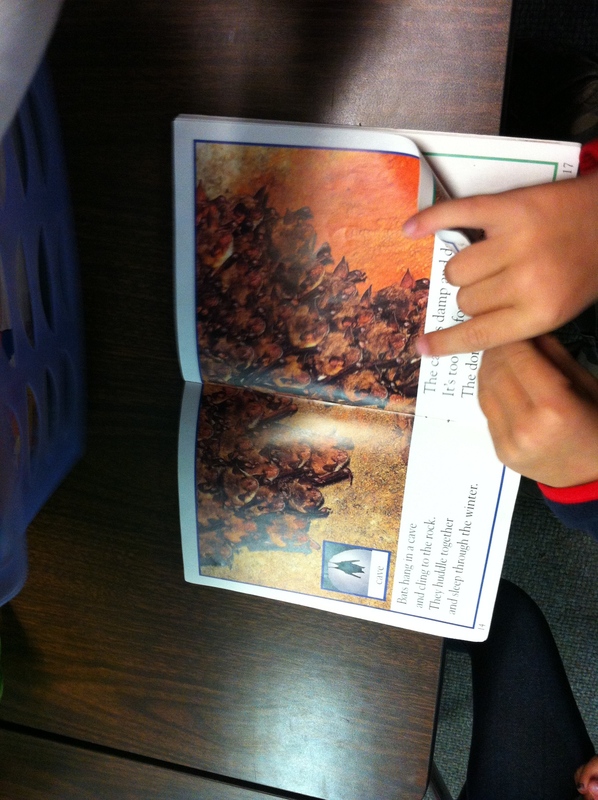 The pictures encourage students to use the pictures to determine what the words say. 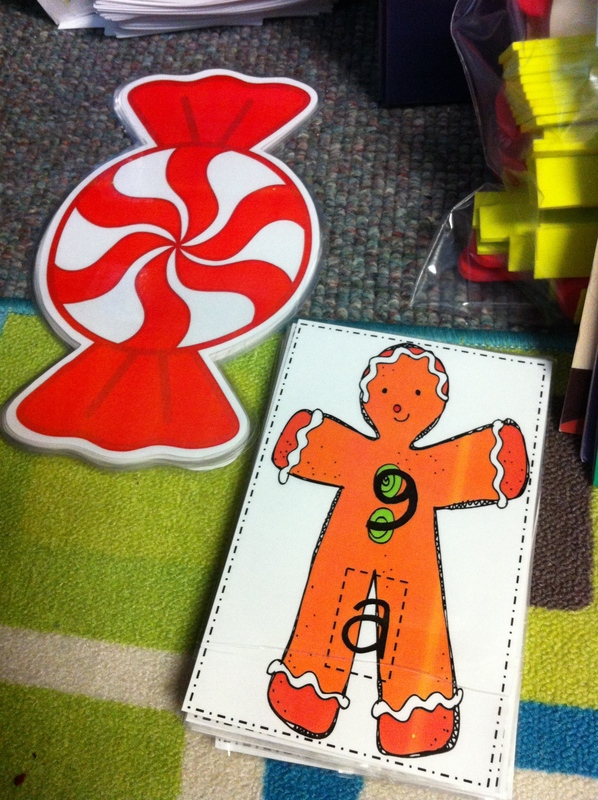 Your kiddos will be so excited to use the candy rulers to measure the different sized gingerbread men. 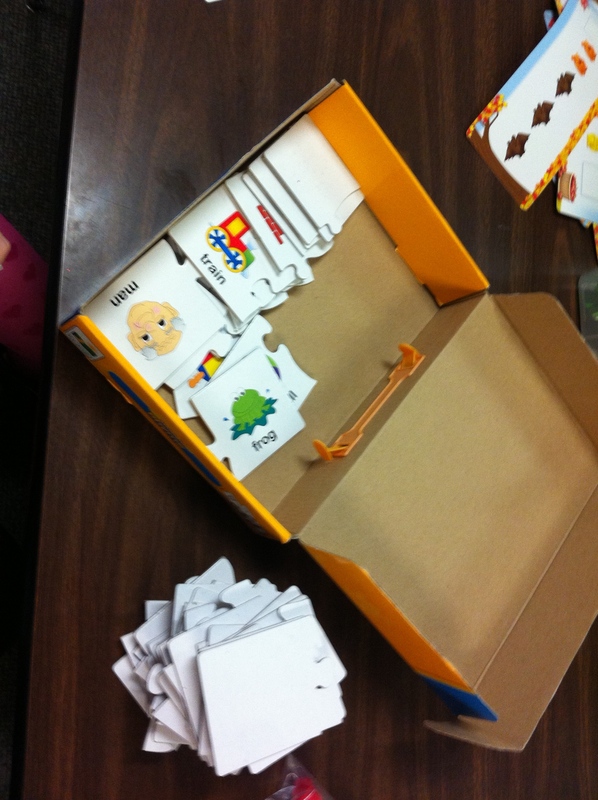 A fun and simple game for children to play that will tie into your gingerbread man unit. All the children need is a large paper clip and the spinning can begin! Children can have fun creating their own gingerbread men by spinning to find out what to add to him or her next! Children will use the included gingerbread man rulers to measure common objects in your classroom. Don’t forget that my entire store (including both of these products) are on sale today for 20% off and on Monday and Tuesday during the Tpt Cyber Monday/Tuesday sale for 28% off! Don’t forget to use the code CYBER to get the discount starting on Monday, December 2nd! 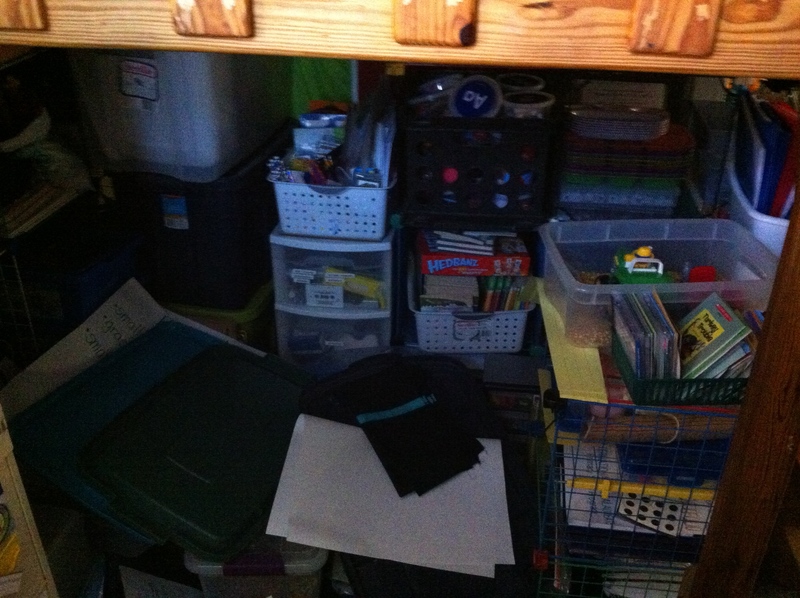 Here are the “after” pictures showing my loft. 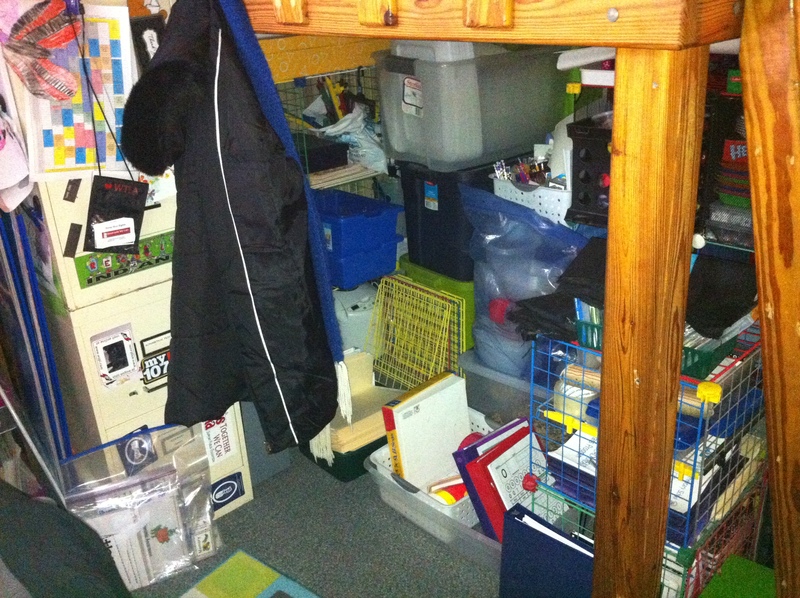 I cleaned it really well this week and just in the nick of time too–my son was sick at school last Friday and so he laid down and slept under my loft. Don’t forget that Tpt will be having a huge Cyber Monday and Tuesday sale on the 2nd and 3rd of December. In honor of Black Friday, I am joining a whole bunch of my blogging buddies, and putting my entire teaching store on sale on Friday, November 29! However, if you want to hold out until Monday and Tuesday, you can save 28% off of everything in my store because Teachers Pay Teachers is having a Cyber Monday (and Tuesday) sale! Everything in my store will be 20% off on Monday and Tuesday and Teachers Pay Teachers is offering an additional 10% off, which actually comes out to a savings of 28%! Make sure you use the code CYBER to save the extra 10%. You can shop on Friday and save 20%, or shop on Monday and Tuesday, and save 28%. So get started on your wishlists and shop your heart out on Cyber Monday (and Tuesday!!). 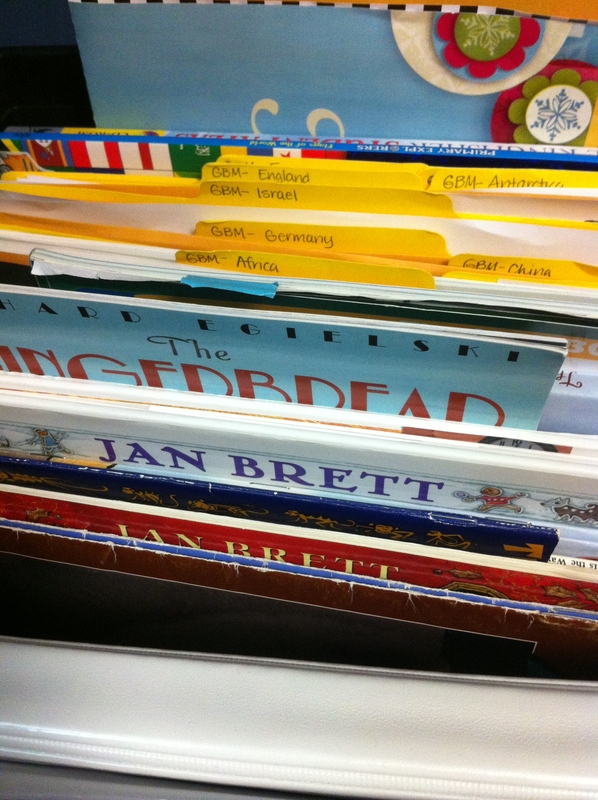 It is a difficult thing for me to find a system that works for organizing my guided reading materials I am using each week. 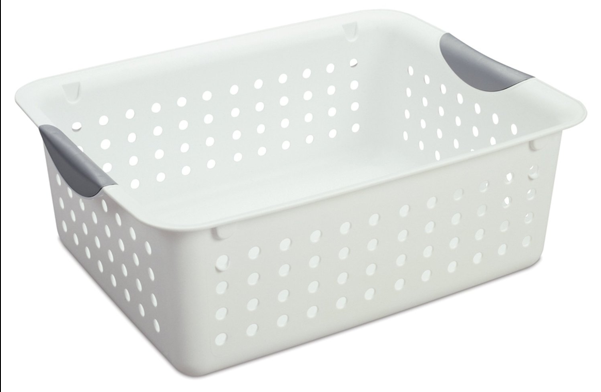 I used to put all my materials into Ziploc baggies and line them up in this tub. They got all mixed up, so that wasn’t working–it was taking too much time to find what I needed. 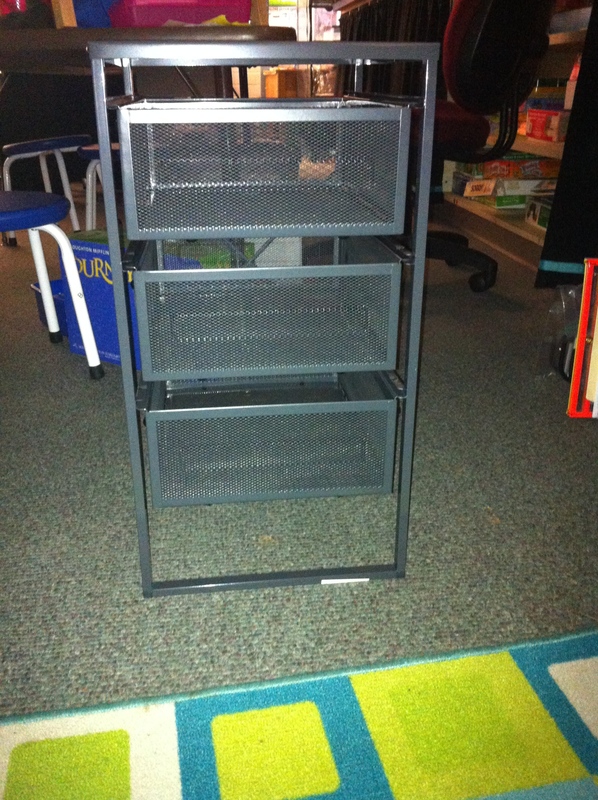 My stacking drawers are similar to these except I have drawers that slide in and out. Functional, yets, problematic, yes!! 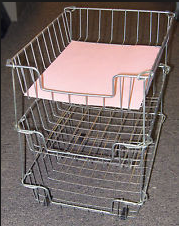 I was very limited to the size and quantity of materials I could fit in these baskets. I needed to find something new!! 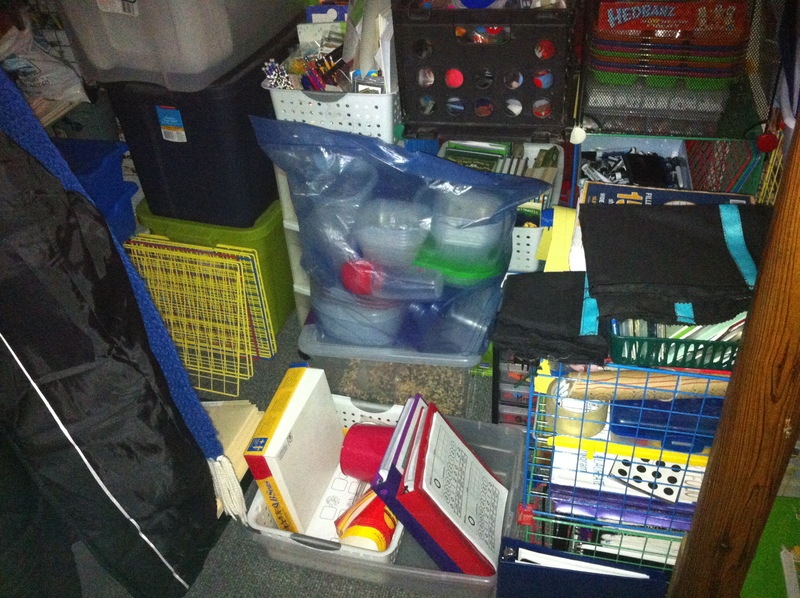 How many of you have an area in your classroom that looks like this? 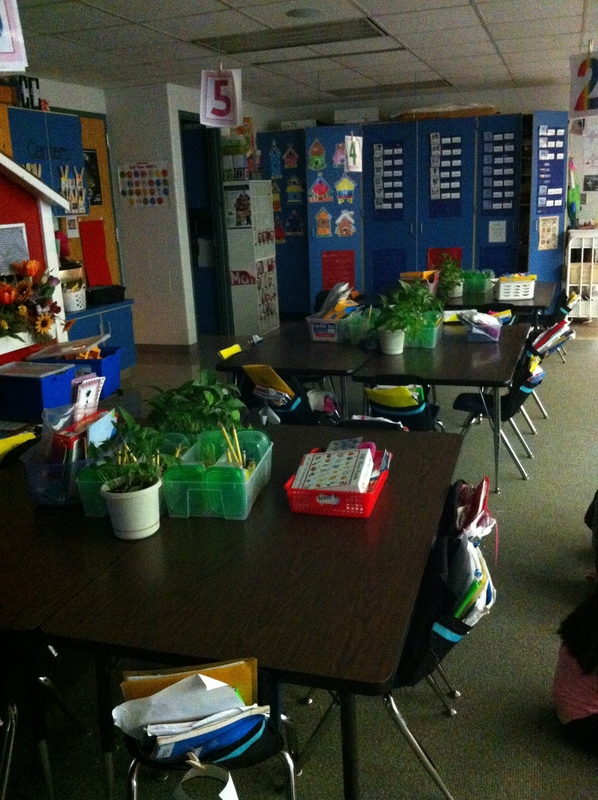 Our new morning work baskets are still working out really well! 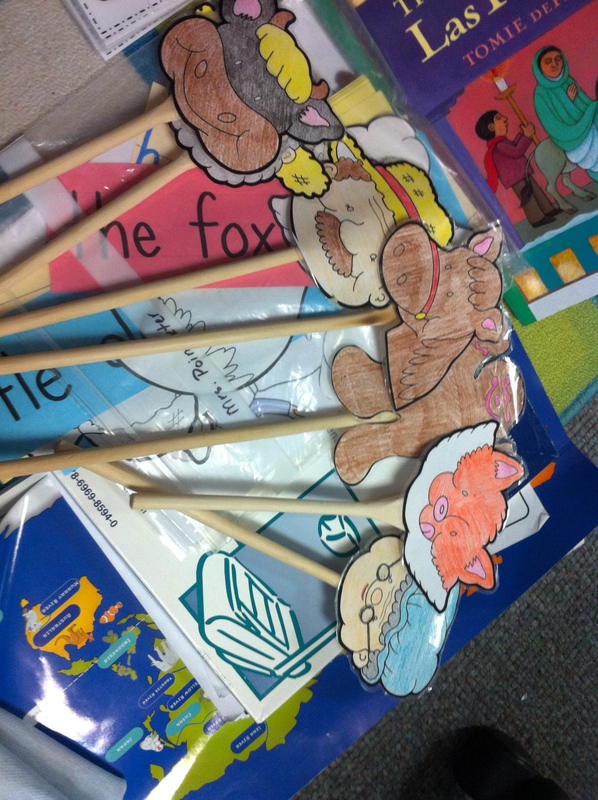 The kids love them and they are eager to see what will be in their basket each day. We have 6 different baskets that we are rotating, so it takes 6 days to get through all the baskets. 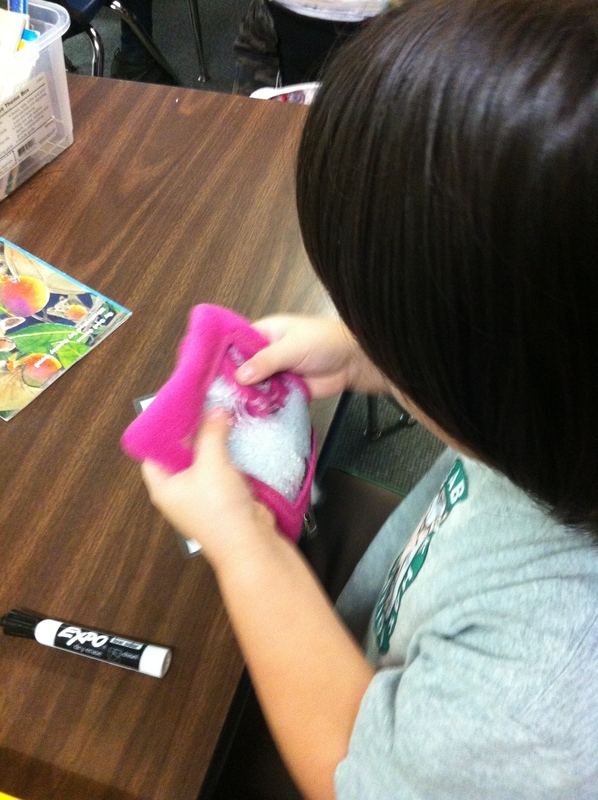 Today, we will be changing out the activities so that the children do not get bored with them. 🙂 I want to make sure we are reviewing current and past skills and that the kiddos are still interested in them. 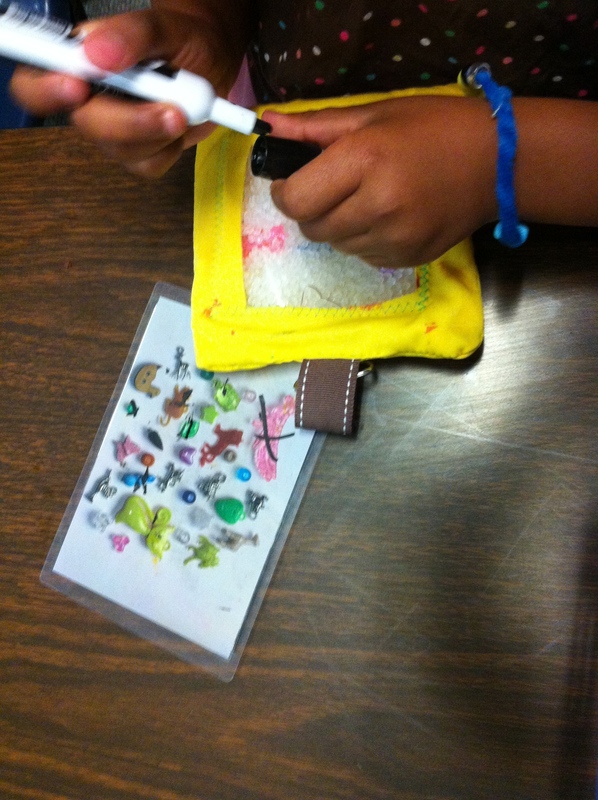 This is one of the iSpy bags I made. 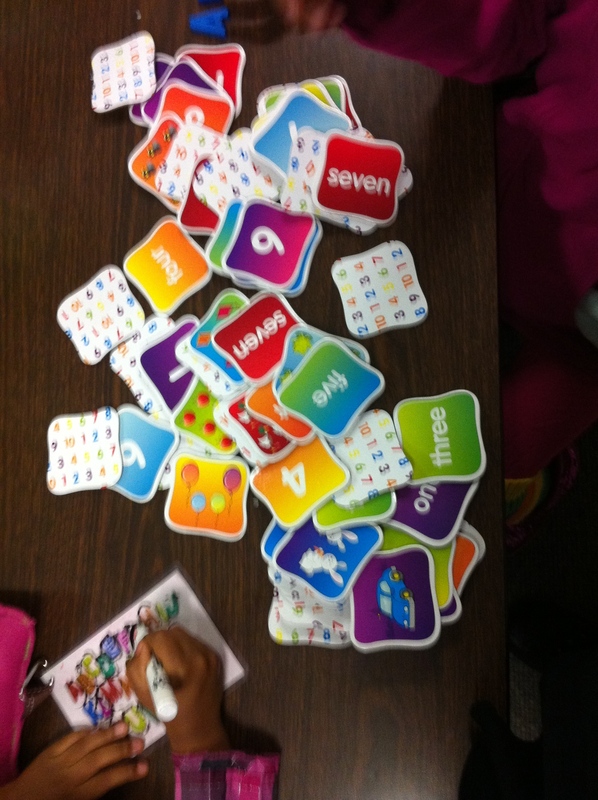 The kids are doing a great job sharing these and taking turns. I’ll be making a tutorial on how to make these soon and will probably have some for sale. Number puzzles. Matching quantities to numbers and number words. 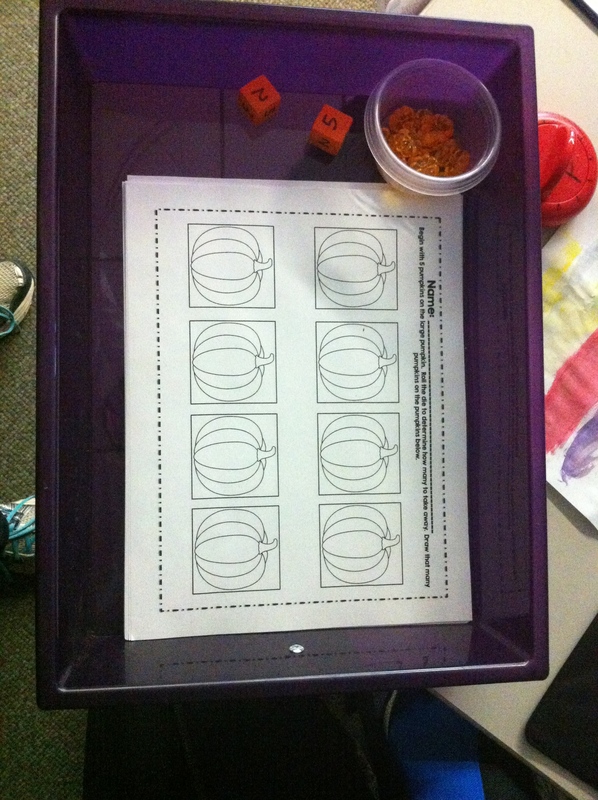 This is our Pumpkin Investigation that we completed while we were learning more about it. You might see that the “How many seeds?” section it says 400 seeds. 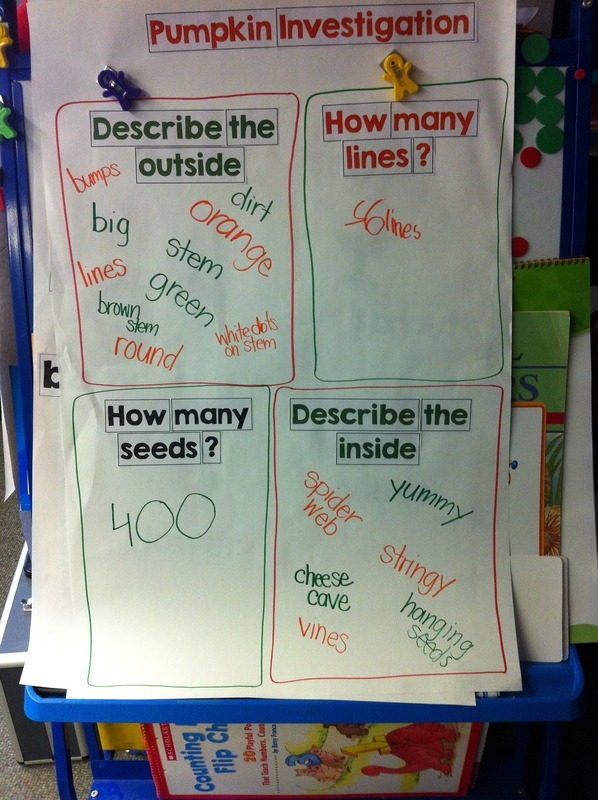 We actually had 501 seeds, but 400 was our estimate by looking inside. We went back and stuck a post-it note over 400 and changed it. 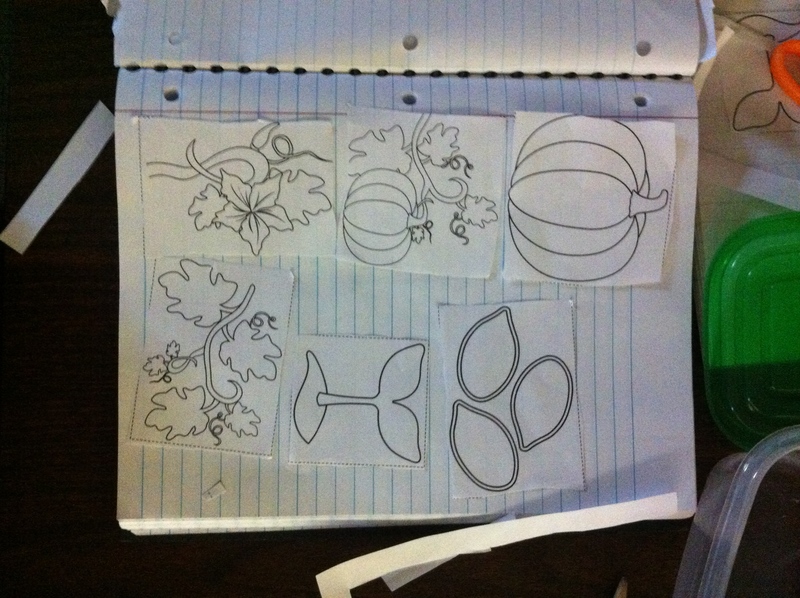 The children learned about the life cycle while we were at the pumpkin patch so we created it in our science notebooks. 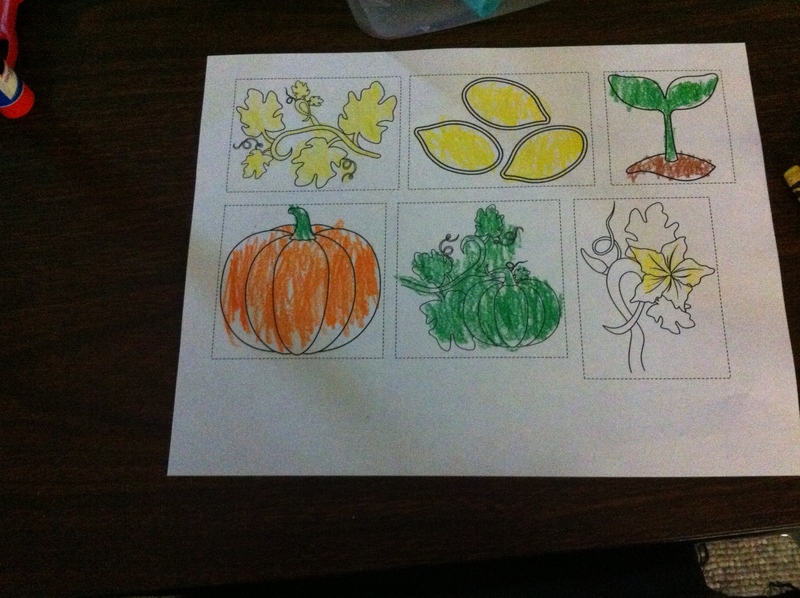 They first colored the pictures and then glued them in the cycle to show their understanding.